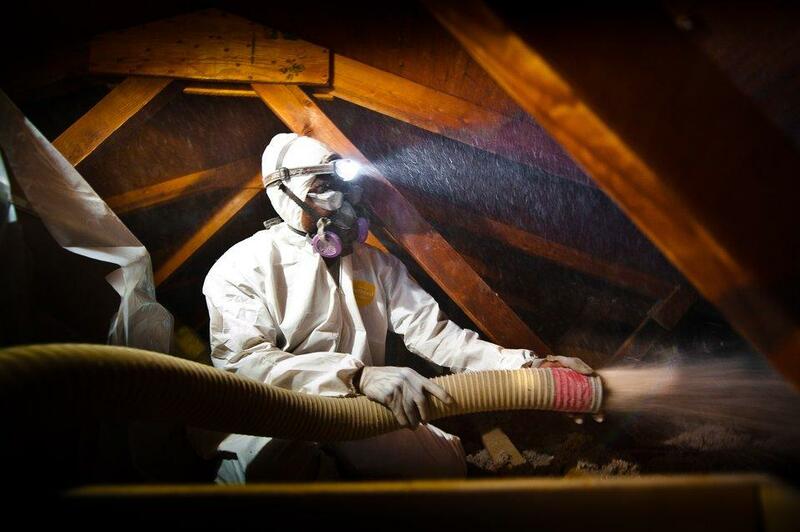 William Stewart with Veterans Green Jobs blows insulation into the attic of a home to make it more energy efficient. An annual survey by two clean energy organizations, E2 and Clean Energy Trust, says Michigan had 126,081 clean energy jobs in 2018, more than 11 other states in the Midwest region. More than 65% of the clean energy jobs in Michigan are in energy efficiency, and more than 20% are in advanced transportation, including electric vehicle and battery manufacturing. Nine percent of the jobs are in renewable energy sectors like wind and solar. Clean energy jobs in the state increased by a healthy four percent from the year before, and clean energy companies say they expect even better job growth in 2019. The report notes that clean energy jobs in the Midwest grew while declining in the rest of the country, indicating a good business environment as well as favorable state policies that support the sector. But authors of the report warn that advances in clean energy jobs could be threatened by the Trump administration's plan to weaken fuel economy and energy efficiency standards.